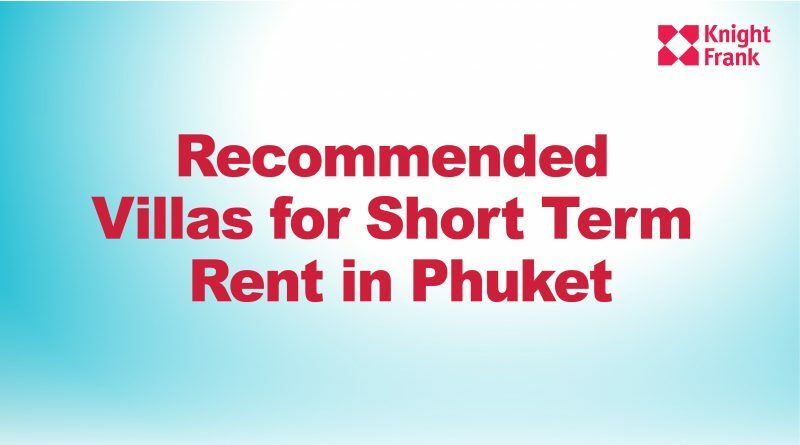 Phuket is world class vacation destination, attracting millions of Thais and foreigners alike. In addition to the allure of its many pristine beaches, such visitors are drawn by the island’s low living expences, cultural diversity, tropical weather, rich natural resources, numerous amenities and choice of locations. 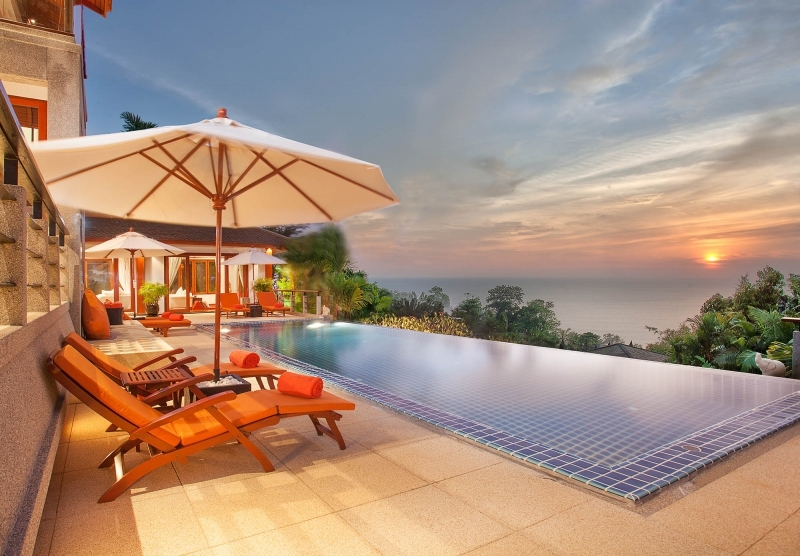 set above the hillside facing breathtaking sunset views of Naithon Beach. There are no water activities in the vicinity and the beach’s national park status helps to conserve the lush natural environment. 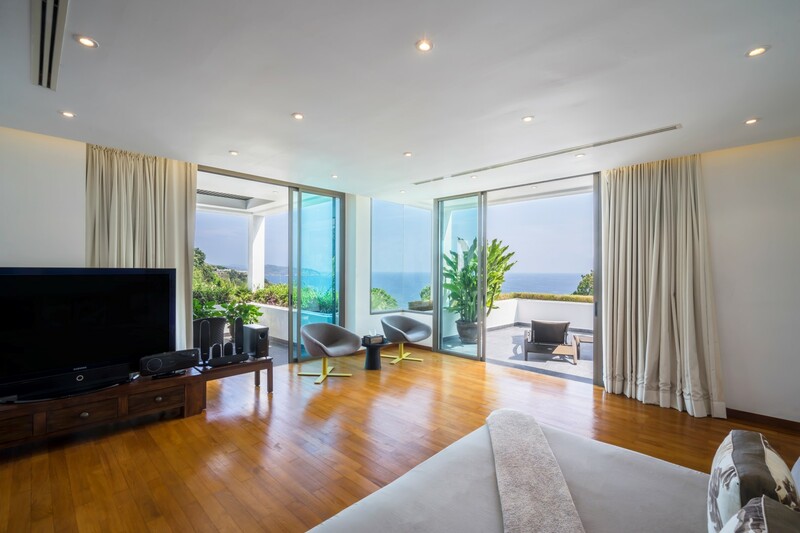 On this less-travelled Phuket coastline, the villa is situated on soft beaches, with sea view landscapes. Throughout your stay, you will have a great time with friends and family in tranquillity and special living experiences, making it one of the best holiday destinations ever. making everyone feel right at home. The ground and first level are duplex residences. Living areas and bedrooms are arranged in a U-shape formation around the pool. At each end of the pool is a master bedroom with ocean views, and spacious indoor and outdoor areas that are suitable for families or groups of friends seeking utmost privacy and five-star hospitality. arranged around the pool and central courtyard, while the top floor boasts the villa’s relaxation area. a group. Moreover, a wide range of watersports and outdoor leisure activities augment the stay. sweeping sea views and diverse amenities over two floors. 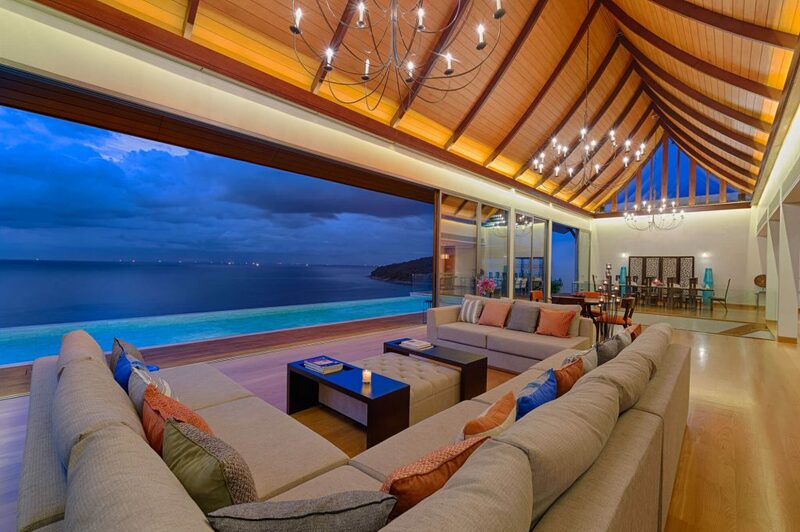 Much of Viila’s indoor livings is open to allow the sea breezes into the interior. 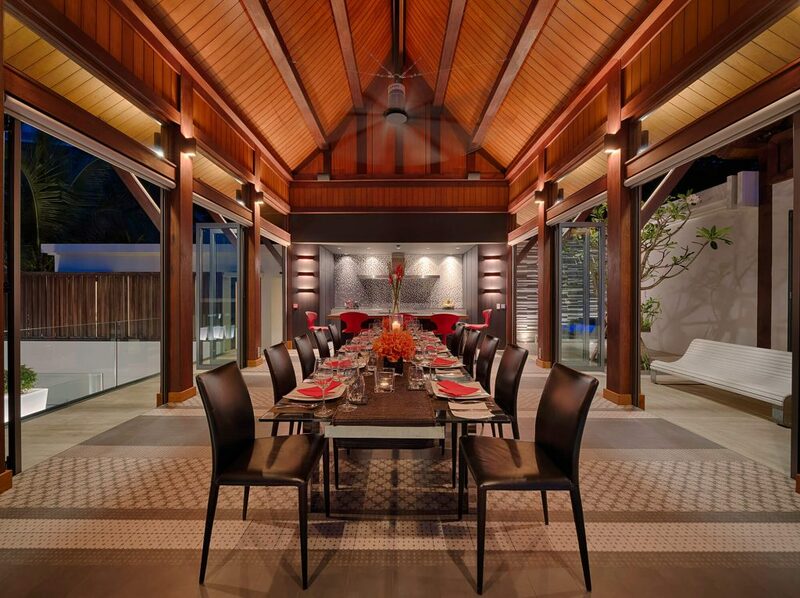 The modern and traditional Thai architecture boasts outstanding aesthetic features, and offers stunning sunset views. These unmatched provisions truly bring luxury to life. the Duplexes occupy the ground and first floors of the exclusive three-storey apartment buildings. perfectly set up to escape the crowds for fabulous family holidays. 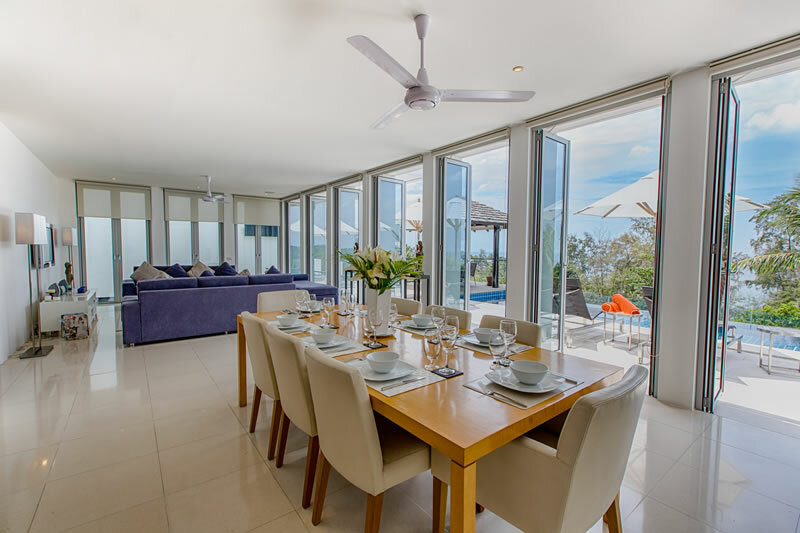 An ample and luxurious open plan living space on the ground floor serves as a superb place to watch the mesmerising sunset, and a swimming pool is bound to be a hit among adults and children alike. Venture out to the lovelyNaithon Beach, just minutes away, for even more family fun. when you wake up each morning. Families and groups will find plenty of social and private spaces in the Thai-styled roofed pavilions, presenting modern comforts and lavish indoors and outdoors living spaces. Also, there are boutique shops, golf clubs, spas, yachting and other leisure activities all around. materials, give the villa a distinctive feel. 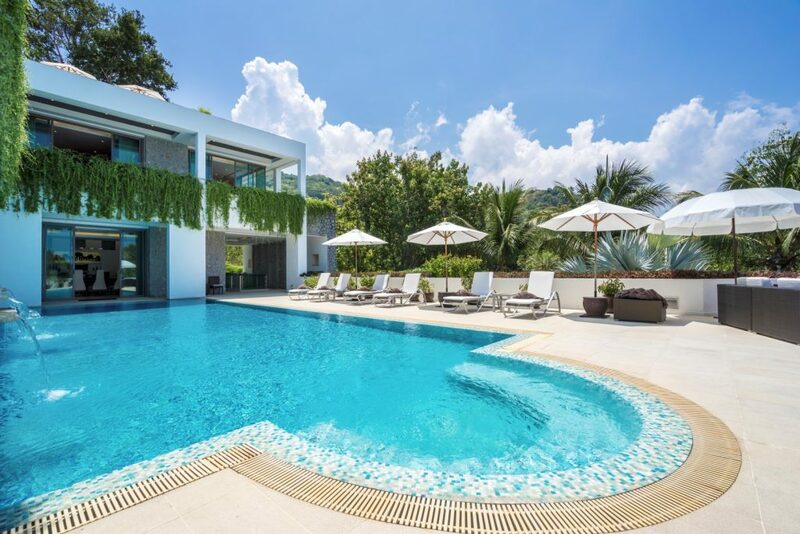 The upper floor of the two-storey villa is arranged in a U-shape formation around the pool, containing the living and dining areas as well as master and guest bedrooms overlooking lush garden views. 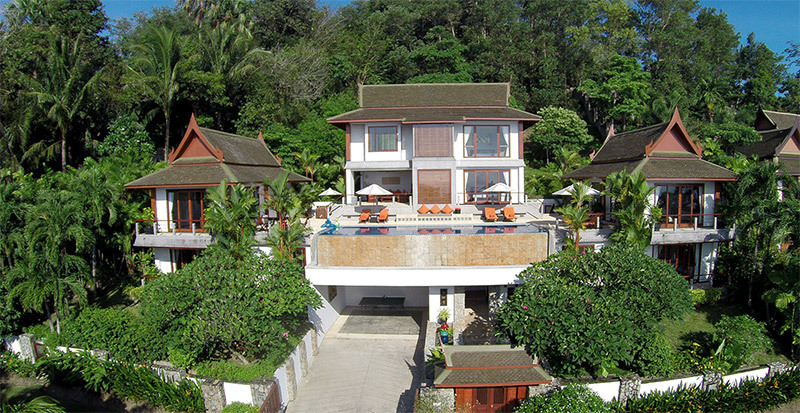 Surin Beach and close to many top attractions. 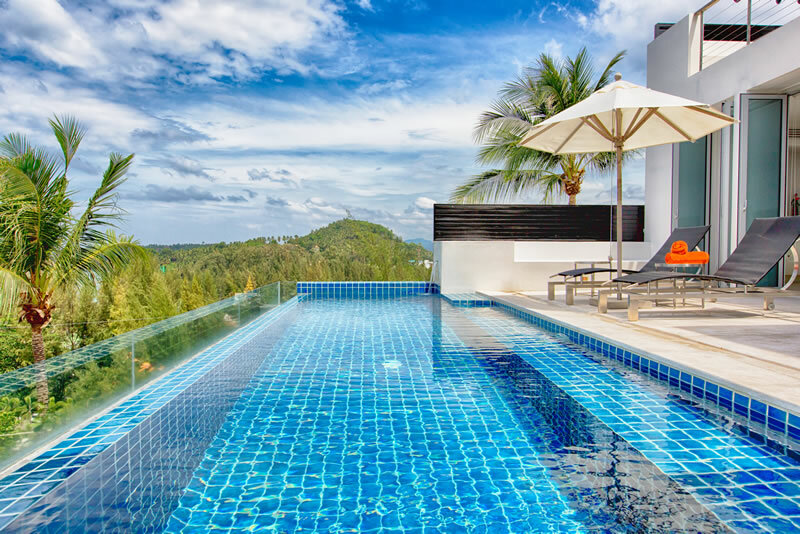 This private four-floor villa features four ensuite bedrooms for families and groups to enjoy a tropical escape, including superb views across Surin and Bang Tao Bays from its secluded balcony. Explore the villa’s vivid and stylish interiors, while soaking in the tranquillity of the rich natural surroundings. Impressive entertainment facilities for all ages further strike the perfect balance.